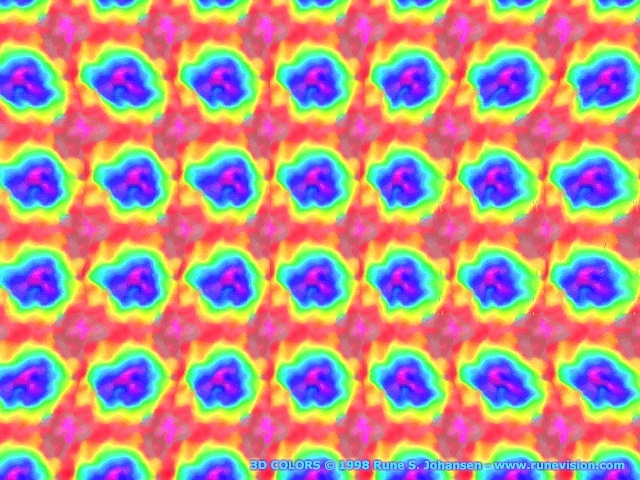 I've made a few stereograms which you can see in this stereogram gallery. 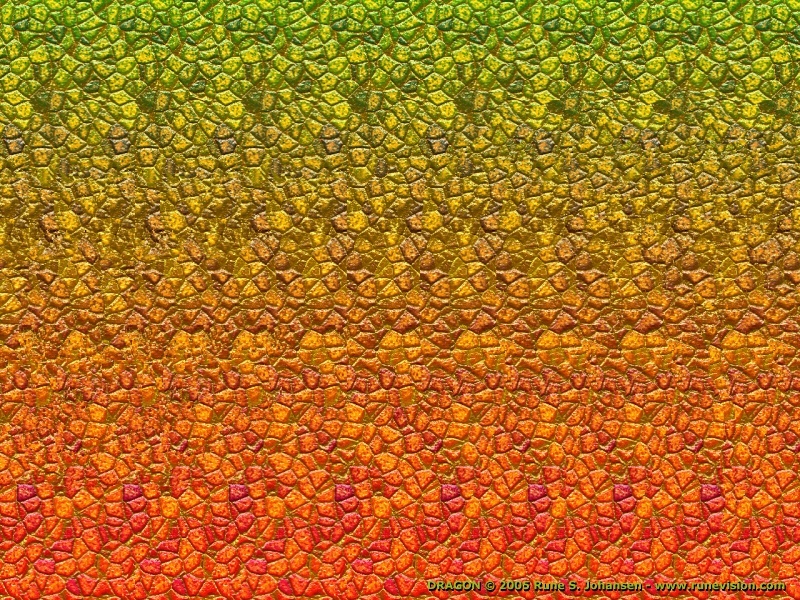 To see a stereogram you must relax your eyes and look at a point behind the screen. Move your head very close to the screen so you can't focus. Then move it very slowly backwards while you try not to focus. Practice makes perfect! When you think you can see it, you can view the depth-map and see if you're right. 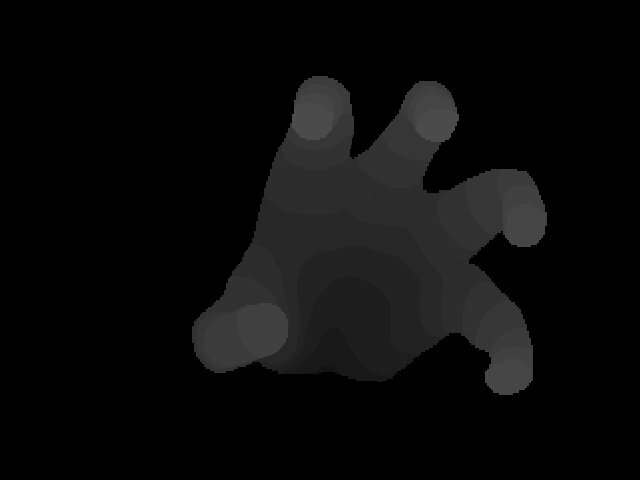 Note: The depth-maps are made for viewing only. They don't work nice as depth-maps in stereograms. 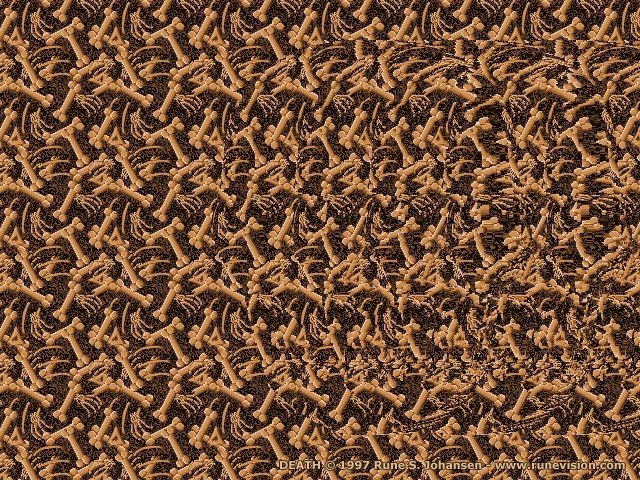 An updated version of the dragon stereogram. It has a better tiled image, made with POV-Ray. The depth-map is the same as in the version from 1999. 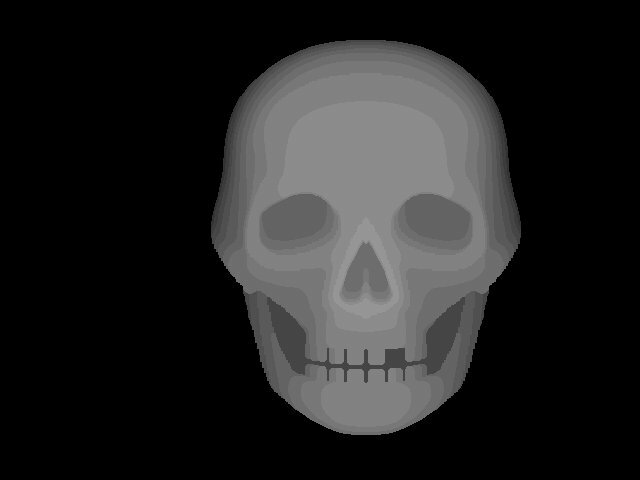 The depth-map is made with POV-Ray (csg-object with gradient texture) and I got the tiled image from the net. 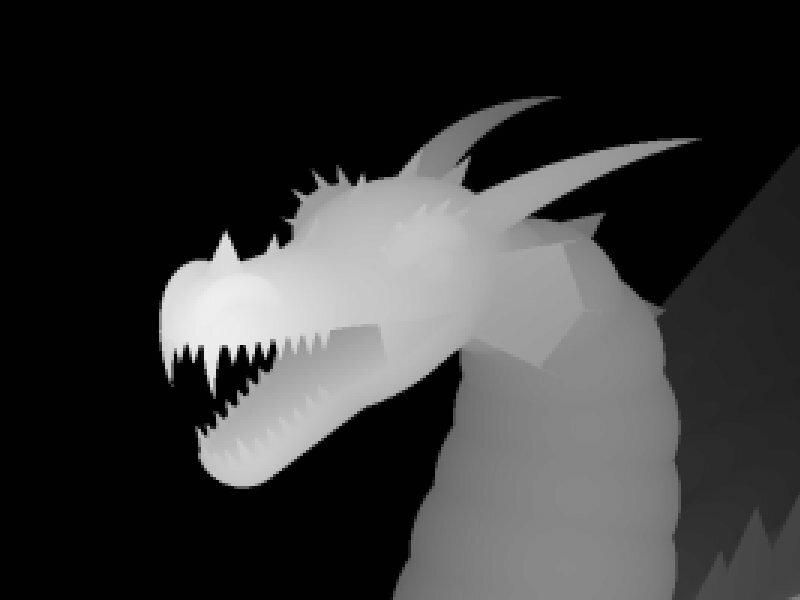 My dragon from the 3D Gallery has now gone stereo too. 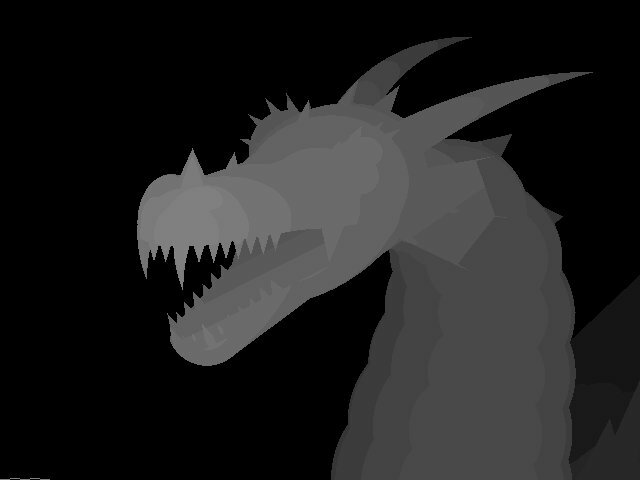 I made the depth-map by creating a 3D scene with the dragon-object and a white fog, but no light_sources. Then inverted the image in a paint-program. The tiled image is made with Paint Shop Pro. I like the tiled image in this stereogram, but to get good results the depth-map must be quite flat.  The depth-map is made with POV-Ray: The letters are cylinders, spheres, and toruses with a gradient texture. The tiled image is made with Paint Shop Pro. 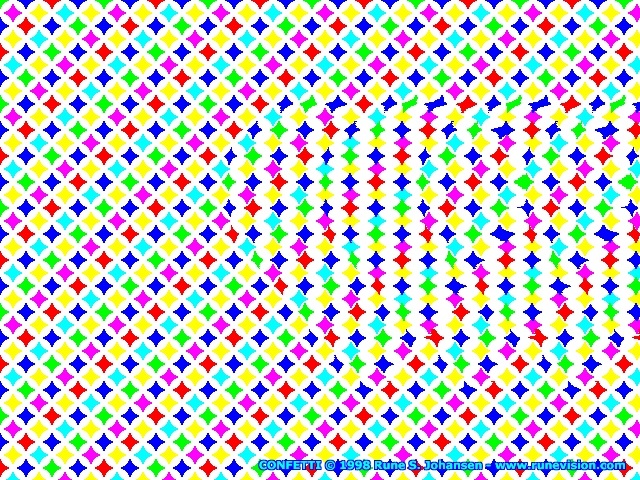 Two overlapping planes is what you can find in this simple stereogram. 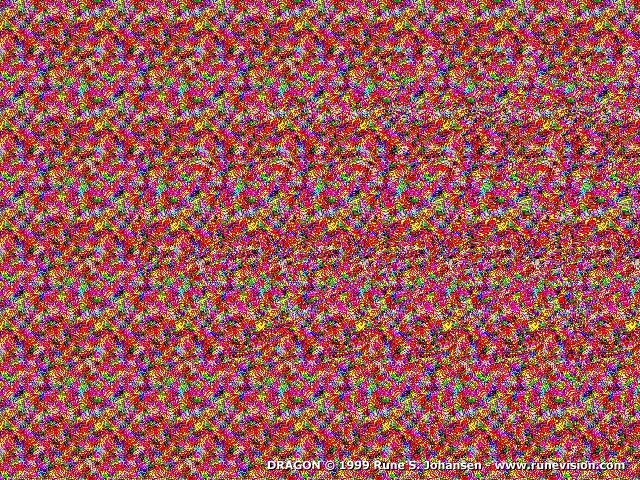 Actually two stereograms combined. 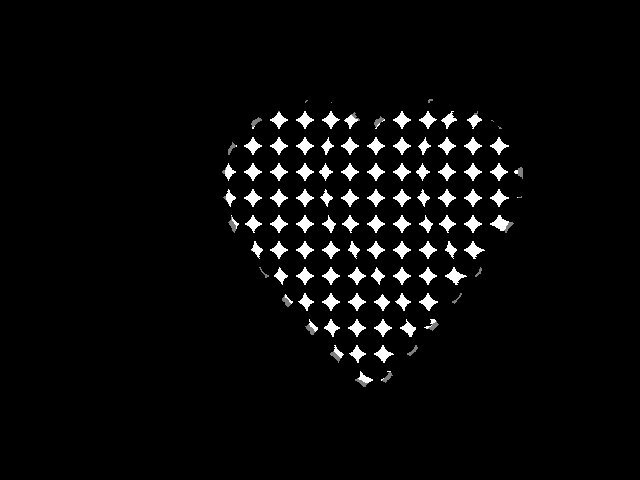 Half of the colored spots are from a stereogram with a heart in the depth-map and the other half from a stereogram with a plain black color in the depth-map. 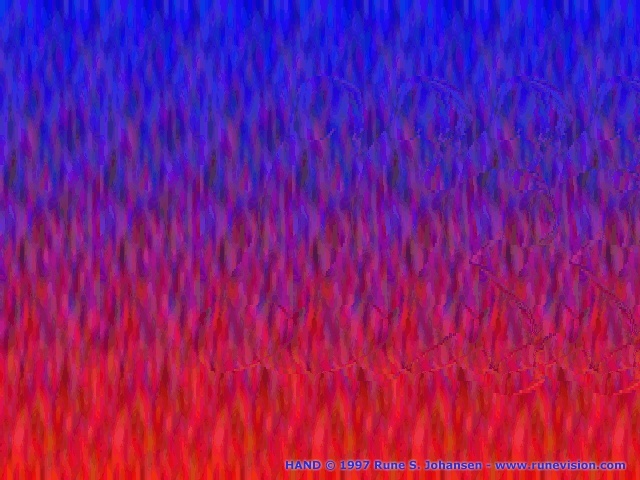 I made this stereogram before I began making 3D graphics. The depth-map is made with the primitive MS Paint! That is a very hard and slow way to create depth-maps, definitely not recommended, except for very simple stereograms! The tiled image is made with Paint Shop Pro.